It took a while, but Verizon Wireless is now rolling out Android 8.0 Oreo update for its Galaxy J7 handset. Both the prepaid and postpaid variant of the Verizon Galaxy J7 are received OTA update to Android 8.0. The software version of the Oreo update for the standard Galaxy J7 (SM-J727V) is J727VVRU2BRH1 while that for the prepaid Galaxy J7 is J727VVPRU2BRH1. Besides an upgrade to Oreo, the BRH1 build also packs in August 2018 security patch. 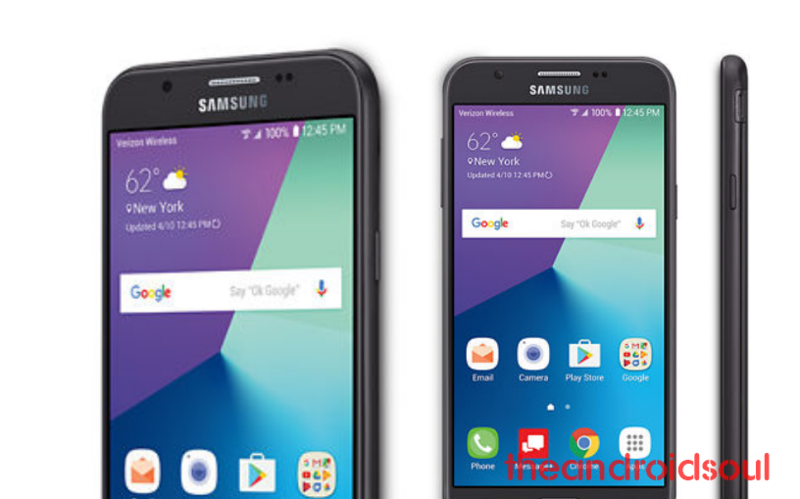 Verizon now also sells a new Galaxy J7 handset whose model no. is SM-J737V, which already comes installed with Android Oreo and should be receiving an upgrade to Android 9 from Samsung in Q3 2019. As of SM-J727V model that is receiving Oreo today, we don’t think it’s eligible for Android Pie update. Thanks to Oreo update, the Galaxy J7 (2017) users at Verizon can now enjoy some cool features like picture-in-picture, revamped notifications center, new settings app, notification dots, Autofill, notification snooze, and more. But that’s not all: Thanks to Samsung Experience 9.0 custom skin that you find with Samsung’s Oreo update, the Galaxy J7 also gets Dual messenger feature that allows you to use two apps (WhatsApp, Facebook, Twitter, Instagram, etc.) on the device. Samsung is also adding a high contrast mode for the Keyboard app, which should help many people, while the Phone app is getting a design makeover. Verizon is also cutting down on the bloatware, axing the apps like NFL, Slacker Radio, and VZ Navigator, but if you want them, you can have them on the Google Play Store. The Oreo update is being rolled out gradually to all the eligible J7 handsets already. Your Galaxy J7 will get the notification when it becomes eligible. To install the Oreo update, you only need to tap on the notification and then tap on the Install now button on the update pop-up. You can also defer the update for installation at a later time. You can manually check for the Oreo OTA on your Verizon Galaxy J7 by opening the Settings app > About device > Software updates, and then tap on Check for updates button. In the last few days, Samsung’s been on the roll, releasing Oreo update for the Galaxy J7 Core/Nxt, Galaxy J7 2017, Galaxy Xcover 4, Galaxy J7 Pop, Galaxy J5 Prime, and Galaxy J5 Pro.